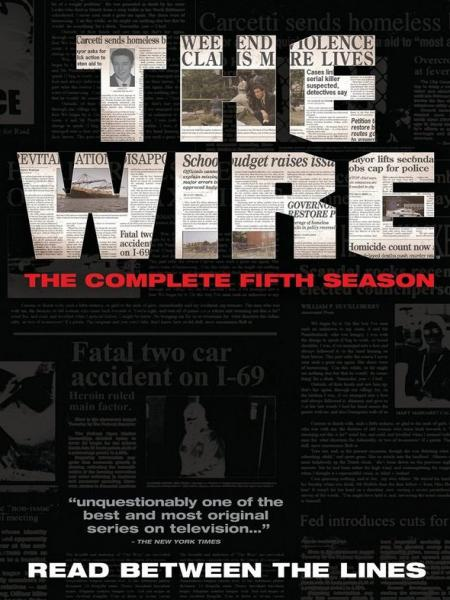 The Wire - Season 5: For the fifth and final season of this groundbreaking urban drama, series creator David Simon returns to his old stomping grounds at the Baltimore Sun, where he worked for many years as a crime reporter, to examine the media';;s role in modern society. The Stanfield Organization continues to operate despite a year of surveillance by the Major Crimes Unit. Education budget deficits and ambitions to become Governor leave Mayor Carcetti forced to make funding cuts. His broken promises to the police department destroy morale and cause the closure of the Major Crimes Unit.